Christopher H. Scholz, "The Mechanics of Earthquakes and Faulting"
This revised and thoroughly updated edition maintains and develops the two major themes of the first edition. 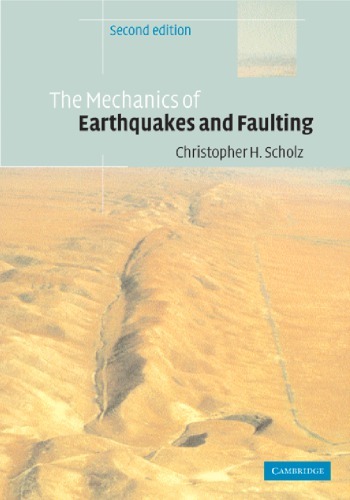 First is the connection between fault and earthquake mechanics, including fault scaling laws, the nature of fault populations, and how these result from the processes of fault growth and interaction. Second is the central role of the rate-state friction laws in earthquake mechanics, which provide a unifying framework within which a wide range of faulting phenomena can be interpreted.